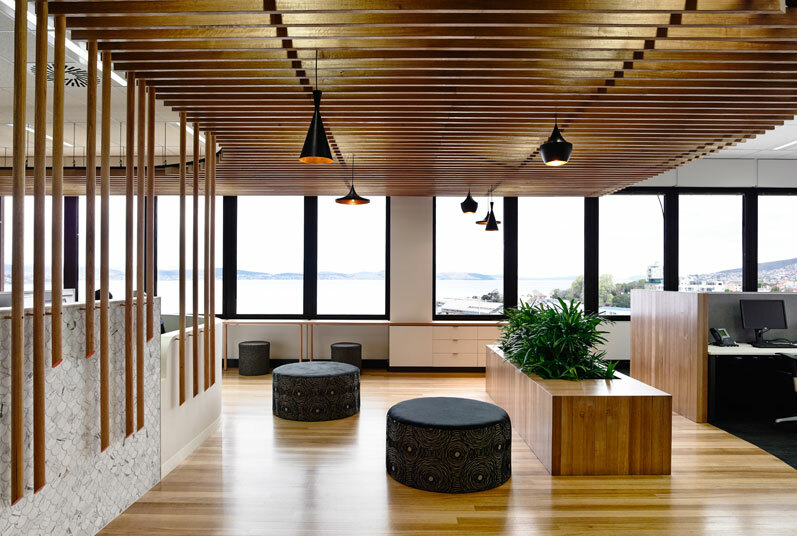 The fit out for the new head office for Tassal focussed on pulling office functions off the glazed perimeter of the building. 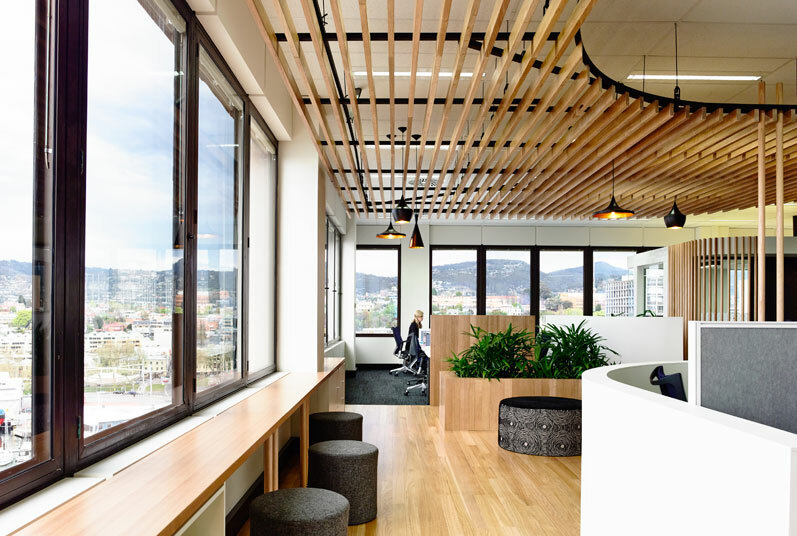 This strategic move not only celebrates its 360 degree views across Hobart’s waterfront, but also reflects the client’s desire for a free flowing work environment. 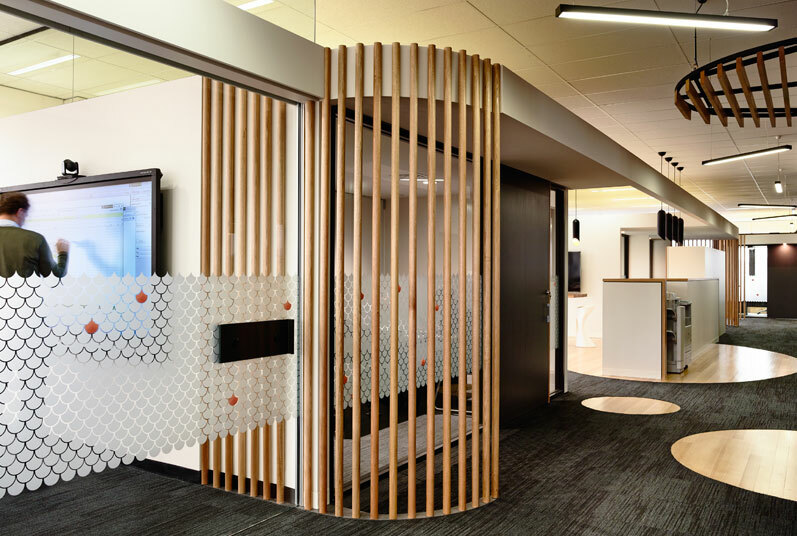 ‘Floating’ office pods are scattered throughout the open plan, providing varied work stations and private rooms. 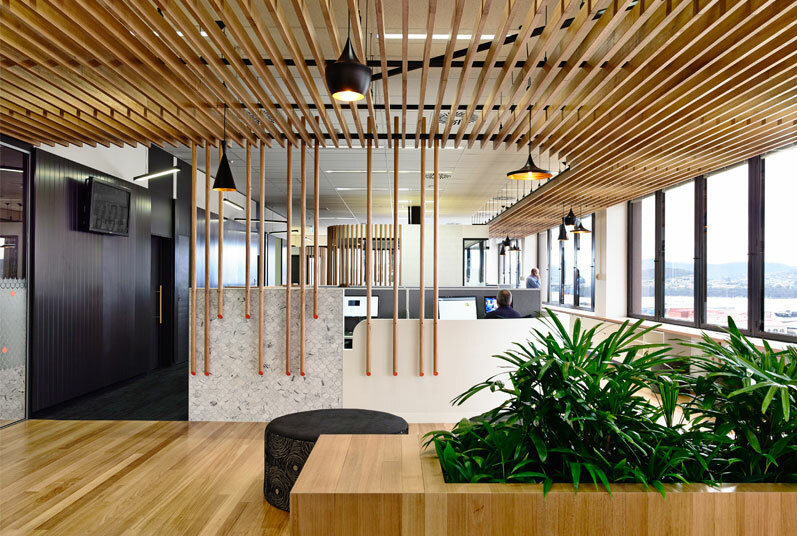 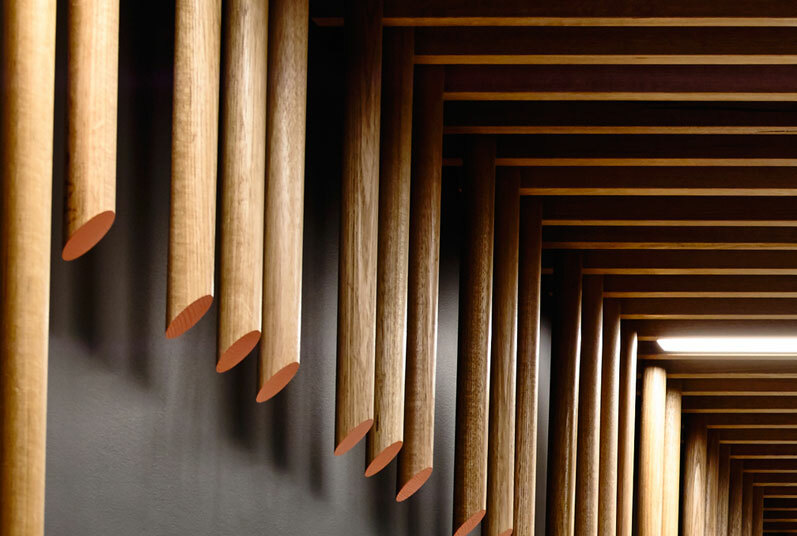 The pods (like Tassals’ salmon ponds downstream) are rich in texture and layered with material repetition to create a sense of movement within the space. 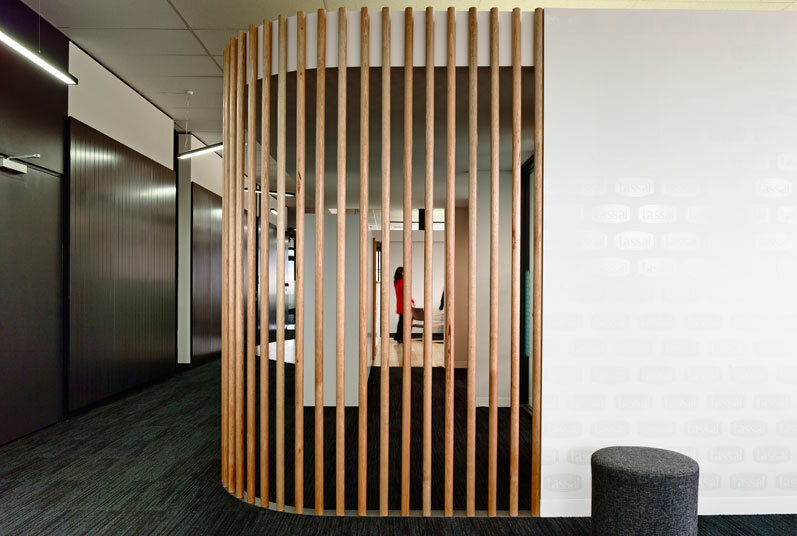 The recessive, black core establishes a backdrop to the space whilst concealing the ancillary facilities for the office.